What's that peeking out from behind the clouds? We swear we saw the sun! And we think you see it too. Yes, we had a foot of snow dropped on us in some places again last week, but when the sun shines now, it's a little bit brighter, and it sets a little later every day. Judging by the people coming into the shop recently, we think you're inspired by the thought of warmer temperatures and bright sunshine, too. We're seeing lots of you stopping in. You're searching for new ideas, checking out the new fabrics and patterns, and planning new projects. Many of us on staff are doing the same. With that extra cheer in the day, we're more motivated to finish our UFOs, clearing them out to make space and time for something new. Speaking of new projects, it's almost time for Vermont Shop Hop 2019! Stop in and pick up your passport soon. The premium this year is something we all love - free fabric! 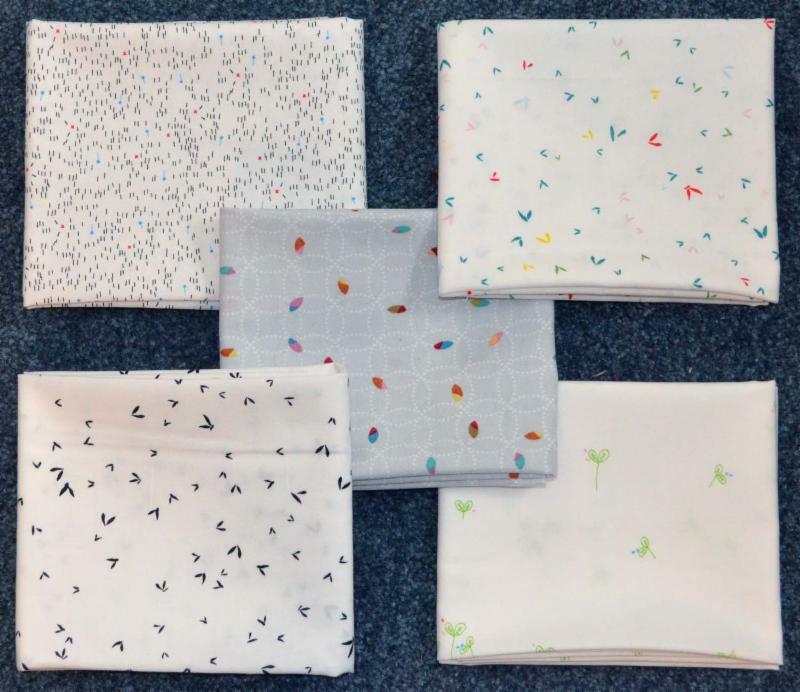 Your 2019 Shop Hop premium is a free half-yard of fabric. The only stipulations - the fabric you choose has to be under $15/yard, and you have to pick out your fabric when you buy your passport. It couldn't be any easier. We'll see you soon! Pineapple Blocks Two Ways with Marty (March 2). Don't we all say we want to make a Pineapple quilt? Here's the inspiration you need! Machine Piecing with Ruth (March 12). This is a great class for beginners, and for confident beginners looking to improve their techniques. It's almost here! The Spring Mystery starts next Saturday, February 23, at 9:15 or 10 a.m. 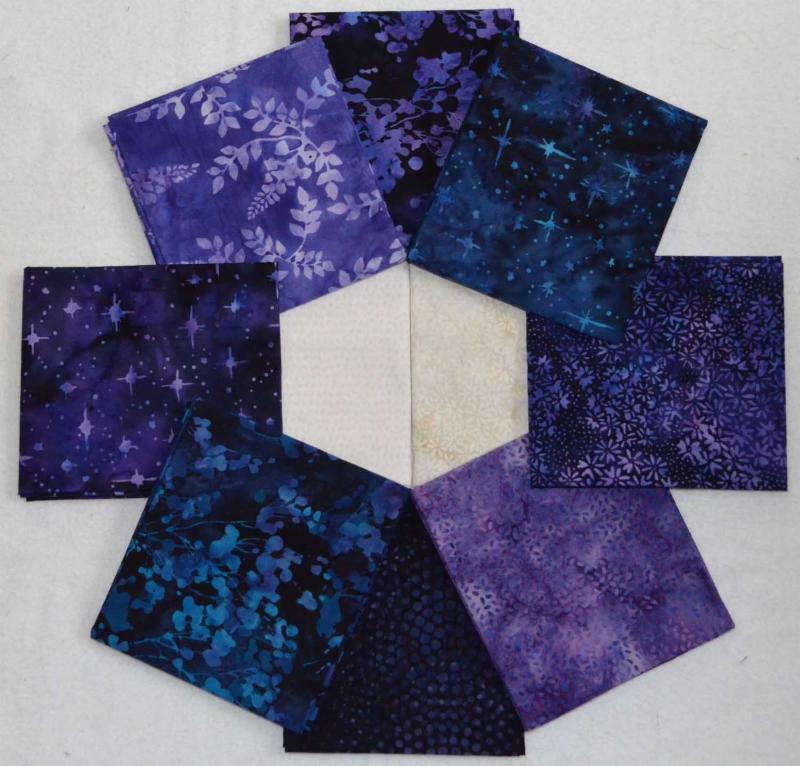 The yardage for this spring's Mystery Quilt is available by clicking here. You can sign up for the class by clicking here, or stopping in at the shop. Our only hint: if you like making Flying Geese units (lots of Flying Geese! ), then this quilt will be perfect for you. It's going to be gorgeous! Those rich purples and blues get us every time! They make such great accents, and borders, bindings, and more. Get some now - they won't last long! 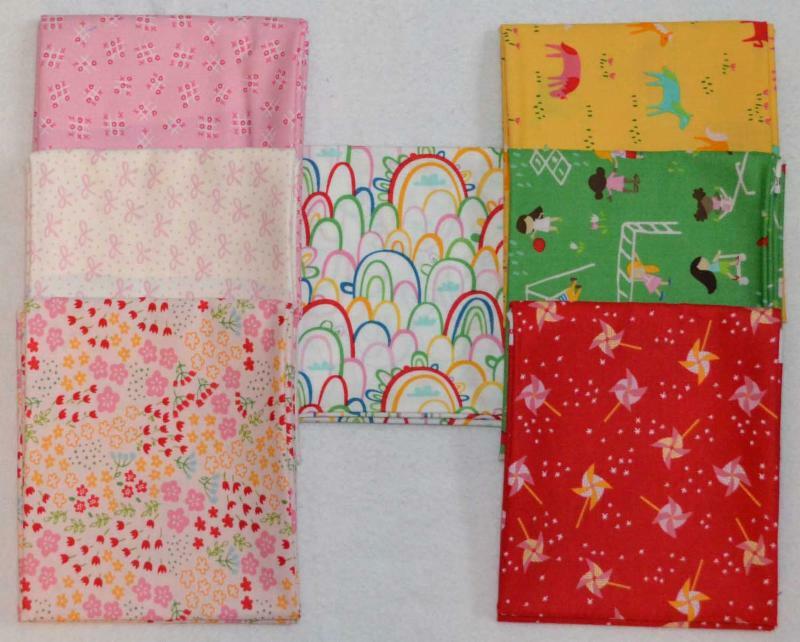 This is such a unique little group of fabrics - some soft and sweet, and others bold and bright. If you look closely, though, you'll see that they can work well together. The best part? The panel that goes with this line makes the four best friends dolls below! These background prints are just fabulous! 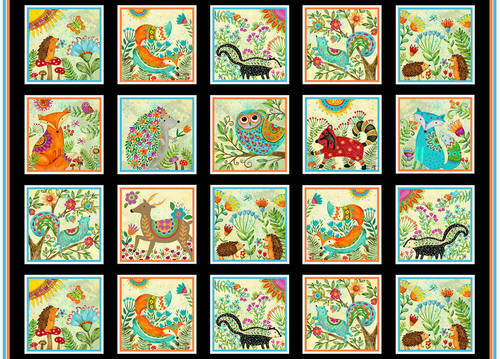 Sure, Victoria designs a lot for the modern quilter, but these prints will work anywhere. We love the small splashes of color that make these fabrics shine. Judy likes to keep a few musically related fabrics in the shop when she can. These are the newest arrivals - they're really great! The hand-drawn look really gives the prints some character. 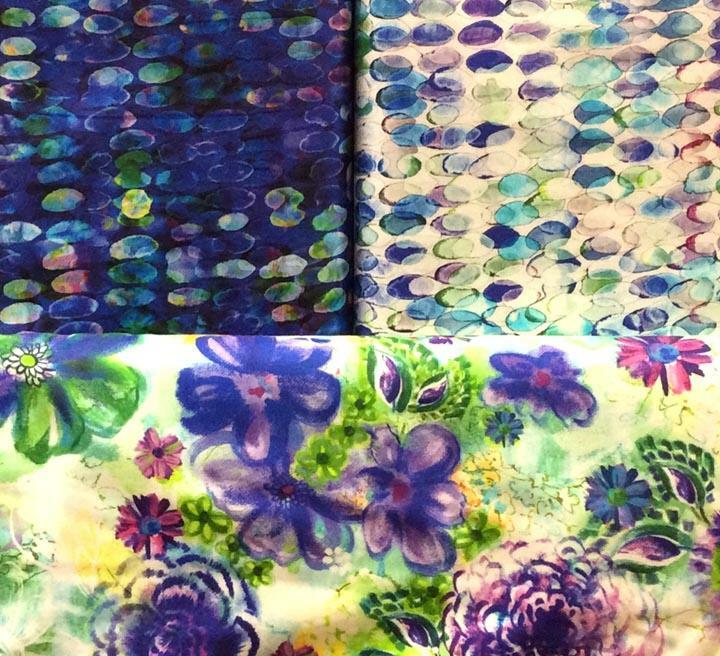 This group of fabrics is flying out the door! Judy's already trying to order more of the black print because we're almost out of it. The colors are just gorgeous! The panel (at right) is lots of fun, and so whimsical - it's moving pretty quickly, too! Here are the newest digital prints in the shop. The technology behind the process allows for greater design and color freedom - it's really only limited by the designer's imagination! A quick note, though - since both the technology and the process are fairly new, the price is higher than traditional screen printed fabrics. We just had to share these two prints. 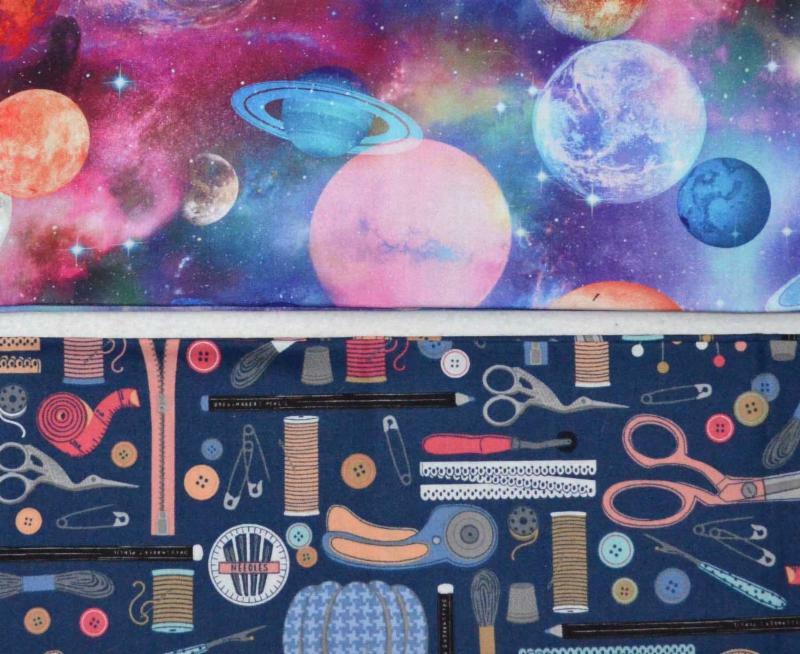 Space fabrics are always popular for quilters, and the colors in this one are quite stunning. 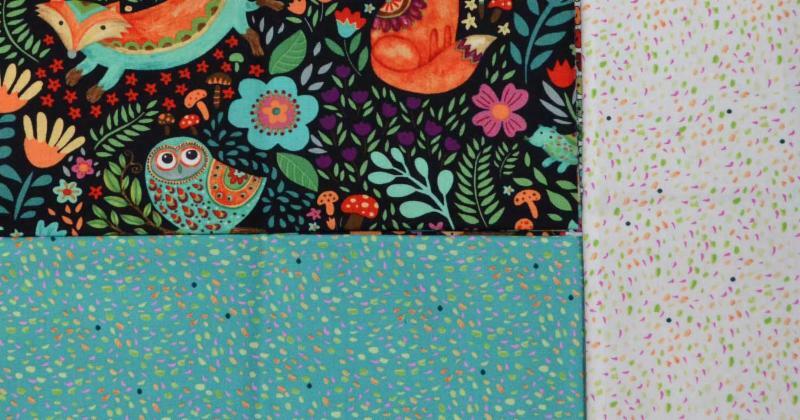 And quilters always seem to love sewing-themed fabric, and our newest print has all the notions a quilter could need. One of our lesser-known notions is the Hot Ruler from Clover. If you need to press seams, hems, and pieces that need an exact measurement, this is a great tool! Cindy uses it to create hems when she makes napkins, and to turn under the edges of her quilt labels before hand-stitching them. The "ruler" is made of heat-resistant nylon that doesn't scorch your fingers as you move it along the edges of your piece.